NOTE: Cut/Split caps are Non-Returnable & Non-Refundable. NOTE: This product may have up to 1/8" Variance +/-. Select Capital Size 4-1/2" x 2-1/2" x 6-3/4" x 6-3/4" 5-3/8" x 2-1/2" x 8-1/8" x 7-7/8" 6-1/4" x 3" x 9-5/8" x 9-1/2" 7-5/8" x 3-7/8" x 13-1/2" x 13-1/2" 8-1/4" x 3-5/8" x 13" x 13" 8-7/8" x 4-3/8" x 14-5/8" x 14-1/2" 10" x 4-7/8" x 16-3/8" x 16-3/8" 10-1/2" x 5-1/8" x 16-1/4" x 16-1/4" 12-1/4" x 5-3/4" x 18-1/2" x 18-1/2" 14-1/4" x 5-7/8" x 21-3/8" x 21-3/8" 15-7/8" x 7-3/8" x 24-1/4" x 24-1/4" 17-1/4" x 7-1/2" x 25-7/8" x 25-5/8" 18-5/8" x 8-1/2" x 26-3/4" x 26-3/4" 21-1/2" x 11-1/4" x 35-1/2" x 34-3/4" 22-3/4" x 11-3/8" x 35-1/2" x 35-1/2"
* SEE PLAN SHAPES BELOW UNDER "DIMENSIONS"
* Refers to the bottom diameter of a tapered column shaft. 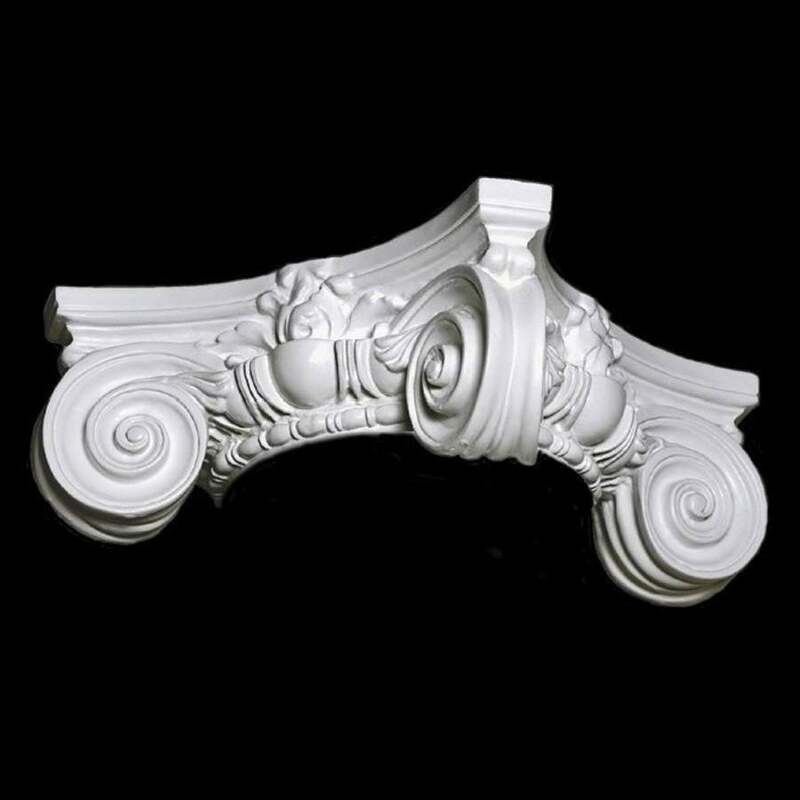 Chadsworth offers beautifully crafted PolyStone® Decorative Capitals in several of the Classical Architecture Orders: Doric, Ionic, Corinthian, and Composite. These capitals are created using a mixture of top-of-the-line fiber reinforced polymers and marble dust. 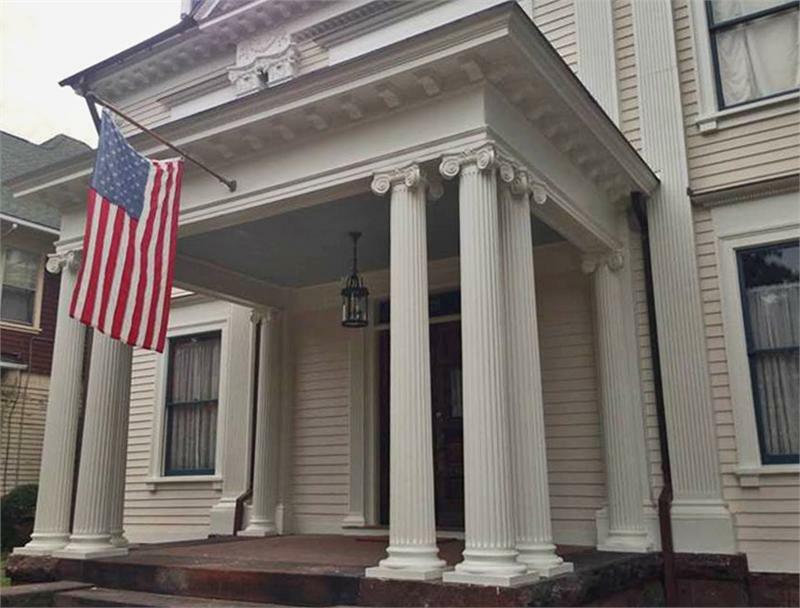 Our composite PolyStone® capitals are Paint-Grade. These capitals are load-bearing, and they may be used for both exterior & interior projects. They are designed to sit on top of an existing column shaft, and they will add height. We offer capital designs with many round shape variations. PLEASE NOTE: Cut / Split capitals are NOT Load-Bearing. Because of the high-quality nature of our PolyStone® composite capitals, they are perfect for utilizing as exterior components because they deter insects, mold, and unpredictable weather conditions. Our PolyStone® material avoids cracking, as well as the degradation of time – which allows for a long-lasting, durable capital. Custom capital sizes are available upon request. Browse our collection of Decorative PolyStone® Capitals, which are offered in a wide range of sizes to fit your column needs. Thank you for your help with our column capitals. We got halfway through our exterior restoration before winter shut us down, but we did finish our two street sides. The capitals went in nicely (our column shafts turned out to be solid! Neither I nor local turners I've asked have ever seen that before); everything looks great.